The Computer Science Meet 2019 cordially invites all the participants across the globe to attend the 2nd International Conference on Computer Science, Machine Learning and Big Data which is going to be held during December 16-17, 2019 Dubai, UAE to share the ideas in globally trending technologies in Machine learning, Big data, Artificial Intelligence and many more. Machine learning is the science of getting computers to act without being explicitly programmed. In the past decade, machine learning has given us self-driving cars, practical speech recognition, effective web search, and a vastly improved understanding of the human genome. Machine learning is so pervasive today that you probably use it dozens of times a day without knowing it. Many researchers also think it is the best way to make progress towards human-level AI. The current era fully rolled out with many new Artificial Intelligence technologies. In such case, more Software companies and industries were newly introduced within the market which obviously shows the market growth of Artificial Intelligence. While analyzing the revenue growth of Artificial Intelligence, it highly developed from $150 billion USD to $250 billion USD since from 2010-2015. And the annual growth percentage increases from 20-55 percentages, which clearly shows that Software technology contains huge scope in coming years. Machine learning means using predictive analytics and intelligent automation to formulate data-driven predictions. It allows marketers to identify the likelihood of future outcomes based on historical data. In a recent survey of top marketing influencers, 97% said that the future of marketing will be a combination smart people armed with machine learning – in other words, that machine learning is the future of marketing. Want to make sense of the volumes of data you have collected? Need to incorporate data-driven decisions into your process? This Conference provides an overview of machine learning techniques to explore, analyze, and leverage the Bigdata. Machine learning is ideal for exploiting the opportunities hidden in big data. Artificial Intelligence has witnessed tremendous growth in the recent past due to the necessity for advancement in the areas of machine translation, object perception, and object recognition. The landscape of tools and infrastructure for training and deploying of neural networks via ‘Machine Learning’ is further evolving rapidly. The rapid uptake of artificial intelligence in end-use industries such as retail and business analytics is expected to augment growth over the next few years. The deep learning & machine learning would cover the major investment area in AI throughout the forecast period. It includes both cognitive applications (i.e. machine learning, searching, tagging, text and rich media analytics, filtering, categorization, clustering, hypothesis generation, question answering, visualization, alerting, and navigation) and AI platforms, which facilitate the development of intelligent, advisory, and cognitively enabled solutions. Analytics is another major segment expected to witness bullish growth over the coming years and is major because increasing awareness, needs, and adoption of big data analytics among several small and large enterprises. Organizations are increasingly adopting these solutions owing to the growing need to make fact-based strategic business decisions to reduce the risk of failure and excel in this highly competitive environment. With members from around the world focused on learning about Machine learning, Artificial Intelligence, and Big data technologies, this is your single best opportunity to reach the largest assemblage of participants from the Global Information Technology Community. 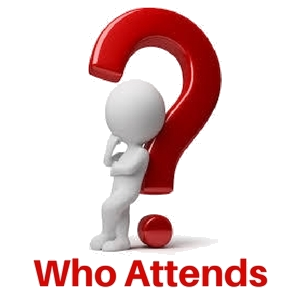 Conduct demonstrations, distribute information, acquire knowledge about current and trending global technologies, make a splash with a new research, and receive name recognition at this 2-days event. 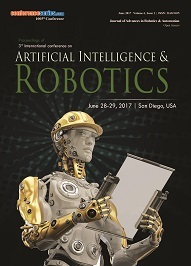 World-renowned speakers, the most recent techniques, tactics, and the newest updates in the Machine learning, Artificial Intelligence, and Bigdata Analytics are the hallmarks of this conference. Businesses have used data analytics to assist their strategy to maximize profits. Ideally, information analytics helps to eliminate a lot of the estimate concerned in making an attempt to know purchasers, instead systemically following information patterns to best construct business techniques and operations to reduce uncertainty. Not solely will analytics verify what may attract new customers, usually, analytics acknowledges existing patterns in information to assist higher serve existing customers, that is usually less expensive than establishing a replacement business. In an associate degree dynamic business world subject to unnumbered variants, analytics provides firms the sting in recognizing dynamical climates, in order that they will take initiate applicable action to remain competitive. aboard analytics, cloud computing is additionally serving to create business simpler and therefore the consolidation of each cloud and analytics may facilitate businesses store, interpret, and method their massive information is raised to meet their clients’ wants. · Why BI is important? · What is the scope of IOT? · How can IOT help? The global machine learning market is expected to grow from USD 1.41 Billion in 2017 to USD 8.81 Billion by 2022, at a Compound Annual Growth Rate (CAGR) of 44.1%. The main driving factors for the market are a proliferation of data generation and technological advancement. In the services segment, the managed service segment is expected to grow at a higher CAGR, whereas professional service segment is expected to be a larger contributor during the forecast period. The managed service is said to be growing faster, as it helps organizations to increase efficiency and save costs by managing on-demand machine learning services. The global artificial intelligence market size was valued at USD 641.9 million in 2016 on the basis of its direct revenue sources and at USD 5,970.0 million in 2016 on the basis on enabled revenue and AI-based gross value addition (GVA) prognoses. The market is projected to reach USD 35,870.0 million by 2025 by its direct revenue sources, growing at a CAGR of 57.2% from 2017 to 2025, whereas it is expected to garner around USD 58,975.4 million by 2025 from its enabled revenue arenas. Considerable improvements in commercial prospects of AI deployment and advancements in dynamic artificial intelligence solutions are driving the industry growth. The Artificial Intelligence industry is segmented by core technologies into Natural Language Processing (NLP), Machine Learning, Deep Learning, and Machine Vision archetype. Deep Learning technology segment is anticipated to dominate the AI market; both in terms of revenue and CAGR over the forecast period of 2017 to 2025. ‘Deep Learning’ technology is gaining prominence because of its complex data driven applications including voice and image recognition. It offers a huge investment opportunity as it can be leveraged over other technologies to overcome the challenges of high data volumes, high computing power, and improvement in data storage. The global big data market size was valued at USD 25.67 billion in 2015 and is expected to witness a significant growth over the forecast period. The elevating number of virtual online offices coupled with increasing popularity of social media producing an enormous amount of data is a major factor driving growth. Increased internet penetration owing to the several advantages including unlimited communication, abundant information and resources, easy sharing, and online services generates huge chunks of data in everyday life, which is also anticipated to propel demand over the coming years. The statistic shows a revenue forecast for the global big data industry from 2011 to 2026. For 2017, the source projects the global big data market size to grow to just under 34 billion U.S. dollars in revenue. 14) International Conference on Machine Learning, July 10-15, 2018, Stockholm, Sweden. 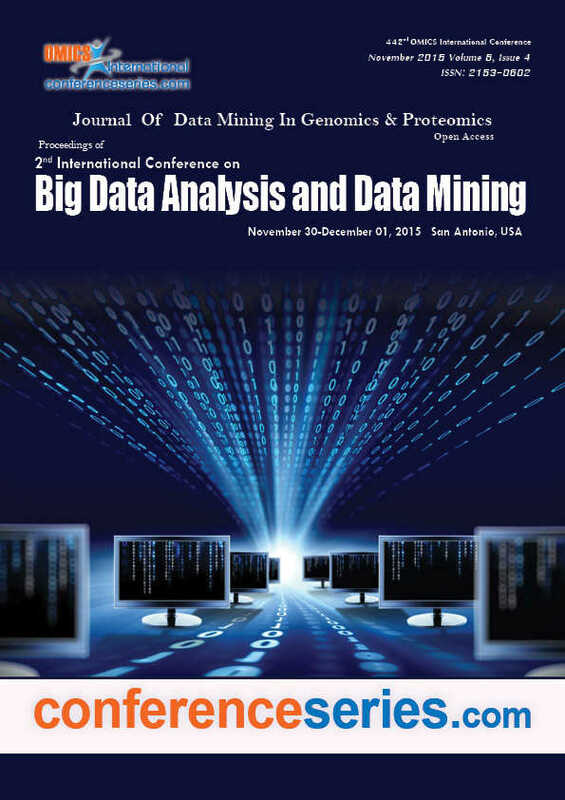 15) World Conference on Big Data Analytics & Data Mining, September 26-27, 2018, Chicago, USA. 16) World Congress on Computer Graphics & Animation, August 29-30, 2018, Tokyo, Japan. 17) Global Big Data Innovation, Data Mining and Analytics Summit, August 20-21, 2018, Singapore. 18) World Summit on Robots and Deep Learning, September 10-11, 2018, Singapore. 19) World Congress on Telecommunications, Cloud Computing and Wireless Technology, August 22-23, 2018, Singapore. 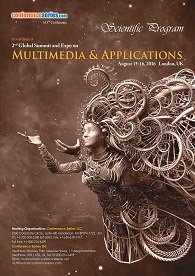 20) Global Summit on Computer Graphics & Animation, September 26-27, 2018, Montreal, Canada. 21) Global Conference on Data Analysis and Cloud Computing, September 06-07, 2018, London, UK. Foundation & Development - Society of Engineers, Society of Engineers - UAE, IEEE Saudi Arabia, Qatar Foundation, Qatar Computing Research Institute, Bahrain Society of Engineers, Computer Science Major, Computer Science and Information Systems, Kuwait Institute for Scientific Research. In the presence of Business Professionals, Academicians, Practitioners, and Students involved in the development of high-quality education in all aspects of technical skills, Conference Series World Congress on Computer Science, Machine Learning and Big Data was held during August 30-31, 2018 in Dubai, UAE. ME Conferences Group played host to a diverse panel of key members of the Computer Science Meet 2018 community from research lab, industry, academia, and financial investment practices, discussing the future of Computer Science, Artificial Intelligence, Machine Learning, & Big Data. This event was really aimed for examining where the technology is going in the future and purpose of the event was to provide an opportunity for cross-fertilization and development of ideas, in this field. 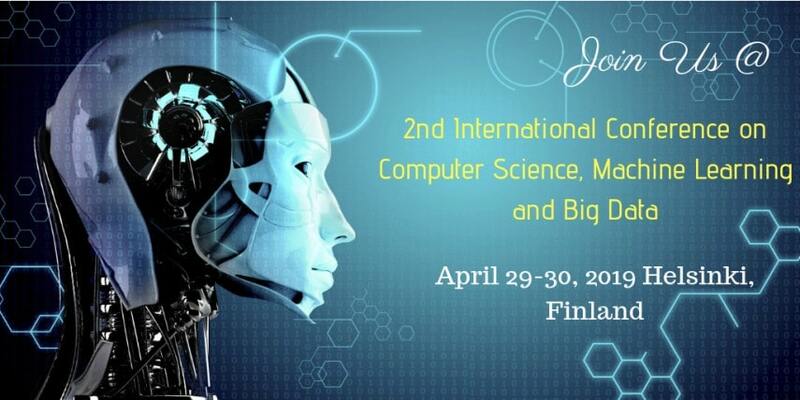 Focusing on Computer Science and Technology, Machine learning, Deep learning, Artificial intelligence, Artificial intelligence applications, Big data, Big data analytics, Data Mining, Cloud computing, Data analytics in cloud, Cloud computing in E-commerce, Business Intelligence, SAP SAS (Statistical Analysis System), Iot (Internet of things), Augmented reality (AR) and Virtual reality the two days of discussions enabled professionals to gain an insight into the current innovations and opened up networking opportunities. Computer Science Meet 2018 Organizing Committee would like to thank the Moderators of the conference – Rohit Agarwal, Mobisy Technologies Pvt Ltd, India; Tanya Dixit, Qualcomm, India who contributed a lot for the smooth functioning of this event. These talks were of great interest to the general technology and were enormously informative. There were several poster presentations as well at the conference. The best poster award won by Mr. Rohit Agarwal & Mr. Gaurav Pawar for the title “An overview of deep learning based object detection techniques in retail domain” and Dr. Nabil Belgasmi for the title “Multiobjective deep reinforcement learning approach for ATM cash replenishment planning”.